The holiday season has passed, and many of us spent a lot of time in kitchens — in our own and in those of friends and relatives. When our two sons and their families come over to our home, the kitchen is a focal point of a lot of our activities. When we visit them, it is the same. The kitchen is not only where we prepare meals, munch and talk, but also where we play card and board games. But what do kitchens have to do with actuarial work? Baking and loss reserving don’t sound like they are related. It is a stretch to try to relate rising bread dough to loss development. 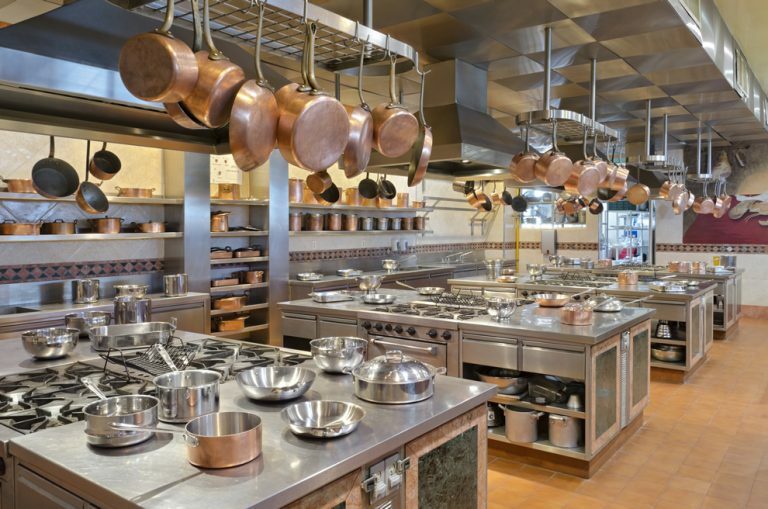 Kitchens and actuarial work do have at least one thing in common: Both are “project work.” Both have ingredients, tools, procedures and an outcome. Both projects have deadlines. And there is often an “experience requirement” for both. There are also different rules for different kitchens. Some have a recycle bin; others do not. Some keep bottles for a cash refund; in other states, bottles go into the recycle bin or go out with the trash. I put the forks into the dishwasher basket tines down; others place them tines up. I do it because I am tired of poking myself with the tines when I empty the basket; others do it tines up because it gets them cleaner. When it comes to actuarial work, until someone else gets to see and digest the results of our analysis, it’s all an exercise in futility. And in the kitchen, it doesn’t count until the dish is served, the cake is cut, and the diners get to enjoy the fruits of the chef’s efforts. Both products need to be properly prepared and digestible. Kitchens have Kitchen Standards of Practice (KSOPs) just like actuaries have Actuarial Standards of Practice (ASOPs). As with actuarial work, there are some things you “just do,” or should do, in the kitchen. Failure to comply with such “rules,” written or not, brings consequences. Leave the milk out of the refrigerator overnight and it spoils. Leave knives within reach of a three-year-old, and the consequences can be dreadful. Leave flour in an unsealed container and you might have additional guests for dinner in the form of ants (or worse). Leave powdered sugar where a two-year-old can get it and you may have a real catastrophe. When it comes to actuarial work, until someone else gets to see and digest the results of our analysis, it’s all an exercise in futility. Knives are kept out of the reach of the little ones but within reach of the adults. The silverware is placed in the basket in the dishwasher, not just thrown into it. Some households put the china into the dishwasher; others do not. The same applies to certain coffee mugs and select skillets. Protect those in the kitchen, whether they are workers (adults) or not (children). Allow for the smooth flow of activities within the kitchen. Provide safe storage for the ingredients. You call it a colander, someone else calls it a sifter, another a strainer, and the grandkids call it “that green thing with holes in it.” I never did get the spatula thing — is it the rubber thing you use to scrape out the last of the peanut butter, or the thing that you flip pancakes with? It seems both are a spatula, which adds to my confusion. “Blend,” “whisk,” “incorporate,” “fold,” and “mix” have different meanings in the kitchen. Failure to understand the difference can result in a flopped cake. Common naming of procedures is important so people know what you are talking about. Different companies, managers and even different projects may have their own languages: Be careful whether it’s a kitchen or an actuarial project. Good ingredients, and the proper ones, are necessary to have success in the kitchen. You wouldn’t brew coffee with swamp water, and you shouldn’t try to do an analysis with “dirty data.” The results are much the same: an awful cup of java or an erroneous actuarial analysis. ASOP 23 deals with data quality. KSOP 23 deals with ingredient quality: Milk goes into the refrigerator; so does the jelly and other perishable foods. Vegetables and chicken are washed, but not together. Flour and sugar go into sealed containers, and so forth. Trying to cook with spoiled ingredients is like trying to perform an actuarial analysis with dirty data. Fresh ingredients and current data are best. If you don’t have the (credible) ingredients called for by the recipe, some substitutions can make it work. This statement could apply to an actuarial analysis as easily as it does to an apple pie. KSOP 25 deals with substitutions when you don’t have enough of the proper ingredients, just as ASOP 25 deals with what you do when your data is not credible. Some people boil water in a kettle, some microwave it and others have a nearly-boiling-hot water spigot at their sink. How you get there has a lot to do with the tools and ingredients or data available. Documentation of actuarial work is covered in ASOP 41, and KSOP 41 deals with recipes, a form of documentation. Recipes can come from cookbooks, newspaper and magazine clippings, recipe cards and a host of other physical sources. Increasingly, they come from the web or an electronic application. I have a friend’s cookbook in a PDF. (Thanks, Wendy Germani.) Actuarial “recipes” come from articles, textbooks, Variance, the CAS E-Forum and other sources. Documentation — that is, recipes — can come in a variety of formats and at differing levels of instruction for the preparer. There are kids’ cookbooks, expert chefs’ cookbooks and everything in between. This year, Kristi, our daughter-in-law, made a birthday cake for my wife, Diane. I’d like to say it was due to the excellent documentation I did in the form of a recipe for Texas sheet cake, but it was a printed recipe from a magazine. It was excellent and tasted just like the ones I have made in the past. It enabled me to work on an equally important task, which was playing a board game with one of our grandsons! Proper documentation is a must in properly delegating a task and enables you to perform alternate tasks. Whether it is actuarial work or cooking and baking, standard procedures enable a quality, repeatable result. Grover Edie, FCAS, is the AR editor in chief. He works as a consulting actuary for Huggins Actuarial Services, Inc. Previous PostPrevious The SLR Factor: As sea levels rise, the flood risk equation changes.